Surfrider Foundation filed settlement in court today that requires the U.S. Environmental Protection Agency ("EPA") and the U.S. Coast Guard to ensure that toxic oil-dispersing chemicals will not adversely impact sea life and our coastal resources. Surfrider Foundation, Center for Biological Diversity and Pacific Environment (“Plaintiffs”) originally filed this lawsuit against the EPA and the Coast Guard in April of last year. According to this settlement of the lawsuit, these agencies promised to solicit and use the expert opinions of the National Marine Fisheries Service and Fish & Wildlife Service before toxic oil spill dispersants are listed as eligible for use in our nation’s waters. 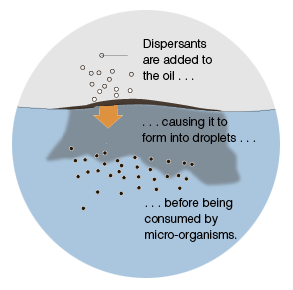 Previously, after oil spills, such as the 2010 Deepwater Horizon spill in the Gulf, the dispersant chemicals were used in unprecedented amounts without knowledge of their long-term effects. In the original suit, Surfrider and co-Plaintiffs alleged that EPA and Coast Guard violated Endangered Species Act (“ESA”) Section 7(a)(2) by failing to ensure that the California Dispersant Plan is not likely to jeopardize the continued existence of ESA-listed species or destroy or adversely modify designated critical habitat. Note that although the relevant part of this suit is specific to California and waters off of California’s coast, a lawsuit on the nationwide permit is not precluded by the settlement. In exchange for the Plaintiffs dismissal of this lawsuit, the agencies agreed to (1) consult with experts at National Marine Fisheries Service and Fish & Wildlife Service on or before January 31, 2014, (2) submit a written assessment describing the potential harm to species from the toxicity of dispersants, (3) keep Plaintiffs apprised of their progress and actions under ESA Section 7(a)(2), and (4) pay modest attorneys’ fees and costs. More than three years after the Deepwater Horizon Gulf oil spill disaster, Surfrider Foundation Chapters around the nation and the world are still vigilantly guarding against the harmful effects of oil spills and the chemicals that can be used to “clean up” the spills. Over 2 million gallons of toxic chemical dispersants were used after the Deepwater Horizon oil spill, including one called Corexit, which was applied in mass quantities, even though this is a toxic dispersant that was banned from use in the United Kingdom. The Plaintiffs in this lawsuit settlement have now forced the Defendants to comply with the species-protection provisions called for in the Endangered Species Act. Surfrider Foundation is proud to participate in this settlement, which will further the government's duty to protect our ocean, waves and beaches, including the ecosystems and recreational resources they support.